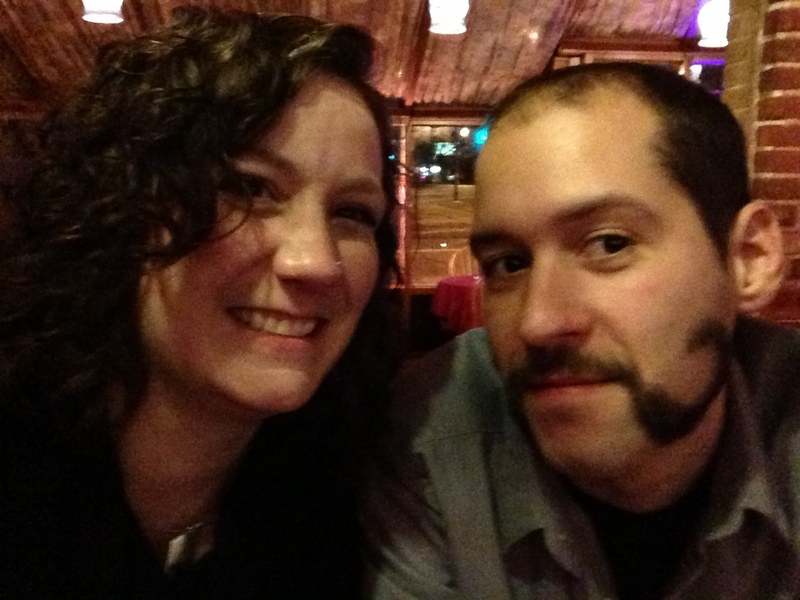 Beards of Denver fans, Meet Dan and his sweetheart Christy, and feat your eyes on Dan’s fantastic, artistic ‘stache! Christy created this ‘stache masterpiece from Dan’s formerly full beard; apparently, Dan felt he needed a fun change and Christy was able to play Picasso—and—viola!—the masterpiece emerged! The Handlebeard was a smash hit at Dan’s work Christmas party with his co-workers AND his boss, but proved a bit high maintenance. After about a week of gaining adoration from strangers (in restaurants and public transit) and family alike, Dan, a Missouri native, who has been in Denver about seven years, decided to shave it off and bring the full beard back to its glory. Christy, originally from Illinois, has called Denver home for just over two years. She said she had never known too many guys with beards until landing in the Mile High City. Her favorite part is the fuzziness—the middle-to-end stage when the beard softens up, and she thinks most women would agree with her on that (I know we do!) One thing Christy does caution about is the “stubble burn” that bearded men might leave on their significant others’ cheeks when they start to grow their beards back out; early on, the glorious beard may feel like sandpaper, and when kissing their sweetheart and then rubbing their cheek, the beard, in its infancy, can leave a mark. We say it’s all worth it though for such handsome specimen! Thanks guys—we can’t wait to see what creation is next!